Who are procurement‘s most influential thinkers? We’ve just announced the world‘s first digitally-led event for procurement and supply chain professionals. Missed it? You can get up to speed with all of the details here. During this one-of-a-kind event we’ll be talking and exploring Big Ideas around three core topics – namely, risk, people and technology. We’re bringing together some of the smartest Procurement thought leaders for a packed day full of interviews, debates and panel sessions. Don’t worry, we’ll be capturing all of the day’s events on video so you’ll be able to see how all the discussions unfold. 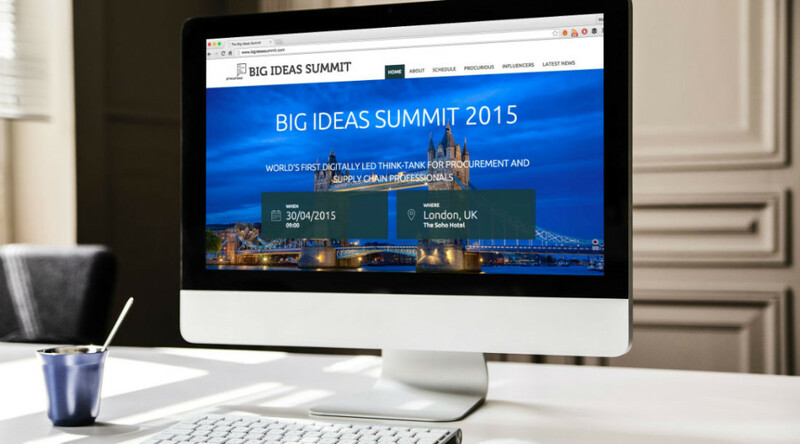 Who will be attending Big Ideas Summit 2015? Peter is Managing Editor of Spend Matters Europe, part of the world’s leading family of procurement websites. He has an MA in Mathematics from Cambridge University, and worked for the Mars Group, where he first held procurement management positions, then was Procurement Director for Dun & Bradstreet Europe, the Department of Social Security, and the NatWest Group. Mr. Sawchuk has nearly 20 years of experience in supply management, working directly with Fortune 500 and midsized companies around the globe and in a variety of industries to improve all aspects of procurement. David Noble was appointed Group Chief Executive of The Chartered Institute of Purchasing & Supply on 1 June 2009. Previously he was Group Supply Director at IMI plc, a FTSE 250 UK multinational company specialising in advanced engineering technology and responsible for c£1billion spend. Although the majority of his career has been in manufacturing, he also has experience of the public sector, the distribution industry and large scale turnkey power station projects. Sigi Osagie is a leading expert on effectiveness in Procurement & Supply Chain Management. He helps organisations and individuals achieve enhanced performance growth to accomplish their business and career goals. Sigi has extensive leadership experience across most Operations and Supply Chain areas, and previously held senior executive and board roles with several blue-chip multinationals and SMEs. He is the author of the highly-acclaimed book Procurement Mojo – Strengthening the Function and Raising Its Profile. Co-founder and Principal of The Beyond Group, a specialised advisory firm providing transformation guidance to commercial and procurement teams, developing learning conferences, and convening industry specific Think Tanks aimed at improving relationships between buyers and sellers. Before founding The Beyond Group, Mr. Breault was a career productivity, supply chain, sourcing and procurement executive with strategic and operational experience in the pharmaceuticals, electronics, and aviation industries. Tania is the Founding Chairman of three companies specialising in the development of the procurement profession – The Faculty, The Source and Procurious. The Faculty is recognised as one of Australia’s leading advisors on procurement development. Established twelve years ago, The Faculty works with leading organisations to transform and elevate the role of procurement, build high performance procurement teams and create professional knowledge networks. Tim Hughes works for Oracle where he owns the Go to Market in the UK for the Cloud Accounting and Procurement solutions. He has a passion for Social Media and has a community of 100,000 followers on Twitter. That enables him to work with customers to gain business outcomes and competitive advantage by using Social, Mobile, Big Data and Cloud across their Accounting and Procurement processes. Dr. Jules Goddard is a distinguished academic and commercial innovator, and is the Big Ideas Summit facilitator for 2015. He is the the Creator of Strategy, Innovation and Leadership Programmes for a wide variety of global companies, including Rolls-Royce, Roche, Rio Tinto, Vinci, Prudential, Microsoft, BG Group and Hewlett-Packard. Chris has nearly 30 years experience in the mining and metals industry. He has been Director of Rio Tinto since 2011 (non-executive) and has served as chief financial officer since 2013. He spent 20 years with Alcoa Inc. where he was vice-president and chief information officer based in Pittsburgh, and chief financial officer Alcoa Europe in Switzerland. Chris spent seven years at BHP Billiton, where he was chief financial officer and then executive director and group president – Carbon Steel Materials. Olinga is an entrepreneur, investor and social activist who has worked in over 50 countries, and is committed to global perspectives in blended solutions across public/private/third/community sectors. In January 2013 Olinga founded and became Director of the Centre for Citizenship, Enterprise and Governance. Since the age of 40, Olinga has led a number of high profile social enterprises which led to his appointment as Impact Investment Advisor to Big Society Network, the UK government strategic partner. Much has been said about the rise of the digital economy continues, with organisations such as Airbnb and Uber cited as major disruptors in their industries. In business eLearning and social media are changing the way we learn and network. Are conferences next in the digital revolution? As organisations become more geographically dispersed and look to reduce costs associated with meetings and conferences, webinars and virtual meetings have become much more common. Websites like Go To Meeting and Any Meeting allow anyone in the world to set up a webinar and connect with others without having to leave their desk. And it’s not just meetings either. Presentations can be given a new lease of life by having them in a virtual environment. Presenters don’t have to stand up in front of a room of strangers, polls and surveys can be done in real time to provide instant feedback and by linking a hashtag to the meeting, the conversation can continue on social media. So we come back to our original questions – are conferences next in the digital revolution? The technologies exist to allow this to happen. Google+ Hangouts on Air is just one of them. The service allows individuals and organisations to schedule content for broadcasting and subsequently publish the videos on YouTube. Add to this the ability to have interactive conversations in real time, control who sees what and add banner advertising, and this becomes a real opportunity for reaching a wider audience. And to top it all off, the service is free. It makes sense for conferences to investigate how to leverage technologies like this to expand their audience. Conversations can start before the event, speakers can get all the questions in advance (saving the awkward silence as everyone lets others go first in the Q&A) and social media can track thoughts and opinions long after the event has finished. And this is what Procurious intends to do in April this year. 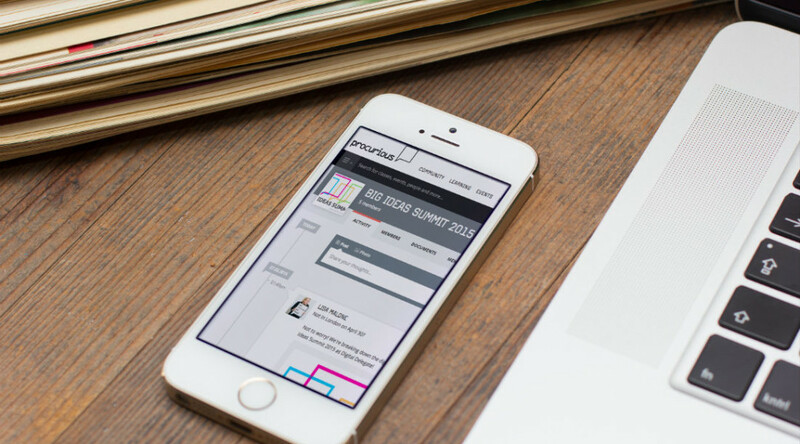 Procurious is throwing open the doors to the world’s first digitally led conference for the procurement profession – Procurious Big Ideas Summit 2015. Planned as a unique think tank event, our Big Ideas Summit will draw on 40 of the world brightest minds from established thought-leaders, senior business leaders and commentators to discuss outside-of-the-box cost solutions. The aim of Big Ideas is to inspire a new generation of business intrapreneurs to drive innovation and change in large organisations. Structured around three topics – RISK, PEOPLE and TECHNOLOGY – the event aims to change the world’s mind about cost and tease out solutions that will drive competitive advantage, agility in unstable markets and long-term value for organisations. All the ideas and content will be amplified through Procurious. We’re welcoming more than 4,500 procurement professionals from across the globe to submit questions to speakers in advance as well as tune in, learn and participate in real time. It doesn’t matter where you are in the world – we want you to help shape the agenda – register your attendance at our Procurious Big Ideas Summit Group. You can also submit your questions on Twitter by tweeting us here: @procurious_ #BigIdeasSummit2015. As a ‘digital delegate’ you’ll also be able to access a rich collection of supporting material including; articles, interviews and video content post 30 April. 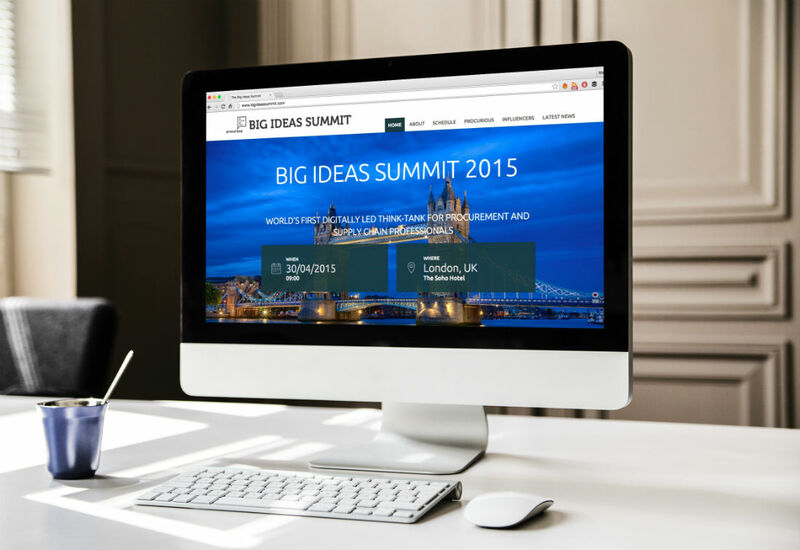 For more information about the day head on over to our bespoke event site: http://www.bigideassummit.com. Cotton On Group has revealed plans to add 227 jobs in Australia and overseas this year as the Geelong-based value fashion retailer embarks on another expansion phase aimed at maintaining its five-year record of 20 per cent-plus sales growth. Cotton On Group’s sales are forecast to rise 22.5 per cent in 2015 to $1.51 billion and the privately owned company is budgeting for 20 per cent-plus growth in 2016 by opening more than 100 stores and expanding e-commerce with new online sites, improved digital content and click and collect options. COG, wholly-owned by Mr Austin and Ashley Hardwick, usually shuns publicity however have agreed to ‘lift the lid” and answer what they feel is unwarranted criticism of its supply chain and employment practices. It has a fully vertically integrated direct sourcing model and fast replenishment systems that rival those of global fast-fashion chains such as Inditex’s Zara, Sweden’s H&M and the Arcadia Group’s Top Shop. Products are designed by a team of more than 60 designers and trend forecasters based at the global headquarters in North Geelong and at four hubs overseas. Products are manufactured by 170 suppliers at 330 factories, mainly in China and Bangladesh, and are sent two to eight weeks later, depending on the category, to seven distribution centres in Melbourne, Brisbane, South Africa, China, Singapore, California and New Zealand. 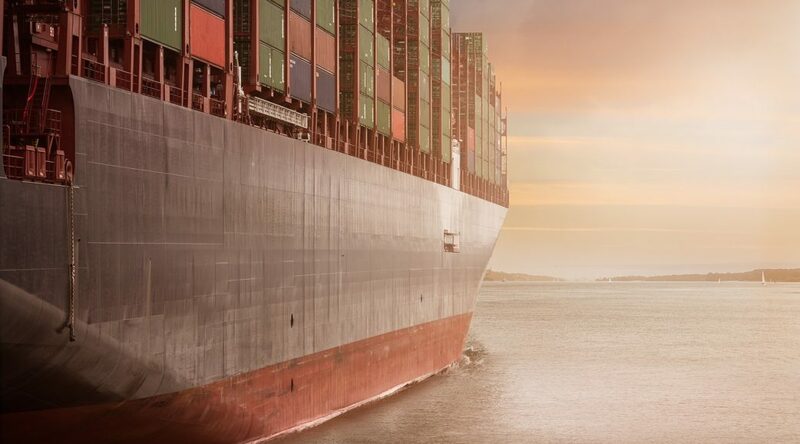 The global supply chain is heading for a perfect storm of rising demand, an ageing workforce, expanding skillset requirements, faculty shortages and an image problem, according to a white paper sponsored by DHL Global Forwarding. Similar to the acute shortage of truck drivers blighting the US and Europe in particular, the gap between demand and availability of supply chain professionals is only going to get worse, states the report, with between 25 per cent and 33 per cent of the workforce “at or beyond retirement age”. The white paper, entitled ‘Solving the Talent Crisis’, is based on research by Lisa Harrington, a senior research fellow at the Supply Chain Management Center, University of Maryland. It is specifically focused on the burgeoning automotive sector, where the problem is arguably more acute, but should be required reading for every supply chain executive. Sales from Scotland’s oil and gas supply chain grew by 11 per cent to a record £22.2bn in 2013, according to figures released by Scottish Enterprise. The sector recorded sales of about £7bn through international subsidiaries, up from £6.3bn in the previous year. Direct exports from Scotland grew by 13 per cent over the same period, reaching a total of £4.2bn. Domestic sales for Scottish-based supply-chain firms were also up, from £9.9bn to £11bn. North America continued to be the top region for international sales, followed by the Middle East and Asia Pacific. Singapore, Qatar, the Netherlands, Iraq and the UAE all joined the top 10 country rankings for international sales during the year. Sports Direct is responsible for employing nearly one in every five workers in the retail and wholesale sector on a zero hours contract, official data suggests. The revelation comes as a senior employment lawyer warned that the company, owned by the billionaire Mike Ashley, may have broken rules on consultation by giving staff at its USC fashion house only 15 minutes’ notice before they lost their jobs on 13 January. The retailer’s chairman, Keith Hellawell, was grilled by MPs last week over the collapse of USC, which left 83 redundant. He was also questioned about the company’s use of zero hours contracts. Sports Direct employs nearly 15,000 on terms that guarantee no set hours each week. Mr Hellawell claimed that Sports Direct uses the contracts no more than any other retailer, but data from the Office for National Statistics (ONS) appears to cast doubt on this. Tapping into the new found popularity of ‘Made in the UK’ is boosting the fortunes of an Aldridge electronic components specialist. One-LUX, which designs, assembles and supplies LED lighting control solutions, is on course to hit the £5m mark for the first time in its seven year-history after reshoring the manufacture of two new products. She continued: “Working with the Business Growth Service’s Manufacturing Advisory Service (MAS), we mapped out our supply chain requirement and then got signposted to a number of firms who could meet our requirements. “We were pleasantly surprised at how competitive local suppliers were and, combined with the greater control we now have over lead times and quality, is going to be a major bonus as the demand for OMNI-LED and UNITY-LED will be significant. We‘re throwing open the doors to the world’s first digitally-led conference for the procurement profession: The Procurious Big Ideas Summit 2015. Planned as a unique think tank event, our Big Ideas Summit will draw on 40 of the world brightest minds from established thought-leaders, senior business leaders and commentators to discuss outside-of-the-box cost solutions. What’s the Big Idea behind it? The aim of Big Ideas is to inspire a new generation of business intrapreneurs to drive innovation and change in large organisations. Structured around three topics – RISK, PEOPLE and TECHNOLOGY, the event aims to change the world’s mind about cost and tease out solutions which will drive competitive advantage, agility in unstable markets and long term value for organisations. 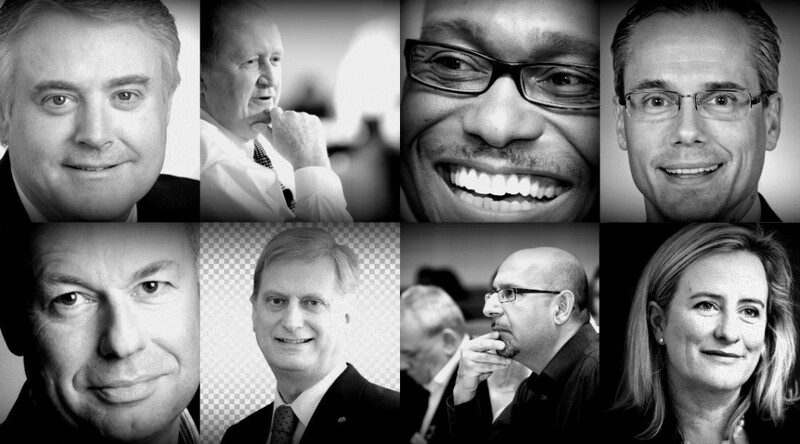 The face-to-face component of the event will take place in London on 30 April 2015, however, with ideas and content amplified through Procurious, we’re welcoming more than 4,500 procurement professionals from across the globe to submit questions to speakers in advance as well as tune in, learn and participate in real time. The Big Ideas Summit is open to all Procurious members. It doesn’t matter where you are in the world – we want you to help shape the agenda – register your attendance at our Procurious Big Ideas Summit Group. As savvy social networkers you’ll already be of the mind that social media can be used to create a global stir. We want to amplify these Big Ideas throughout the global procurement community, connect with one another, start meaningful conversations, and ultimately drive change. All keynote sessions will be captured on film and offered exclusively to registered attendees. As a ‘digital delegate’ you’ll also be able to access a rich collection of supporting material including; articles, interviews and video content post 30 April. For an event that explores the biggest trends impacting procurement we thought it only necessary to bring onboard similarly hot-ticket sponsors. The Big Ideas Summit 2015 is proud to be sponsored by the Chartered Institute of Procurement & Supply (CIPS) and The Hackett Group. 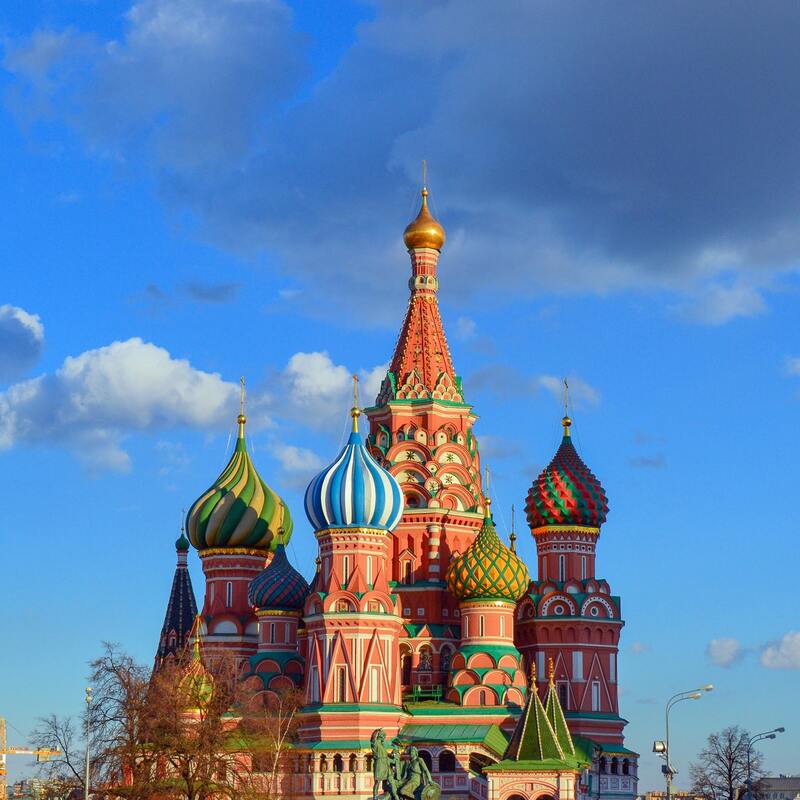 Time Zones and Advanced Planning – What’s Procurement Like in Russia? 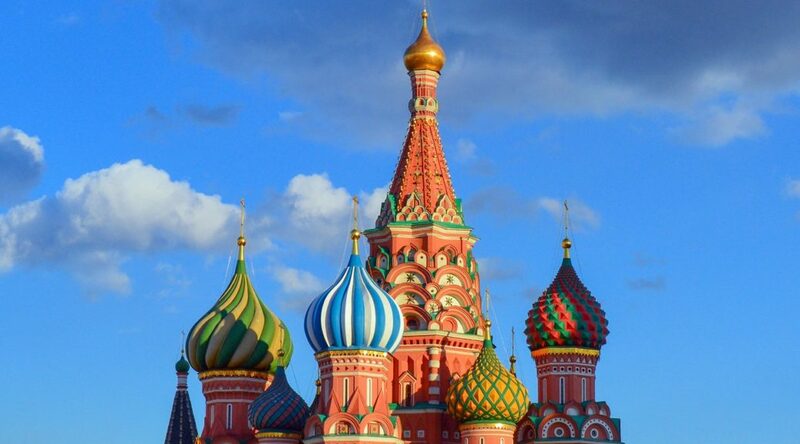 With the revelation that Russia’s dreaming of constructing a superhighway that will span the circumference of the globe – Procurement consultant Natalia Urazova and FMCG Procurement Specialist Vladislav Mandryka have got together with their fellow professionals to tell Procurious about procurement in Russia. How do you think procurement differs in Russia, as opposed to elsewhere in the world? Commercial procurement only came into being in Russia in 1991, with purchasing previously based on central planning activities. Procurement in Russia is now growing rapidly due to the increasing numbers of multinational corporations in the domestic market. Comparatively, it’s fair to say that procurement in Russia is at the same stage now as it was in the USA in 1999-2000. Only around 10 per cent of all Russian companies have a defined procurement strategy, nearly all of which are large companies. Small and medium-sized companies tend to view procurement as a ‘passive administrator’ of production orders. As a result of this, these companies tend to lose 25-45 per cent of their spend value in procurement activities. Leading Russian companies, those with active procurement strategies, are able to save billions of rubles annually through a number of initiatives like reconfiguration of procurement departments, P2P optimisation, category management, tenders and SRM programs. These organisations have also understood that centralisation of procurement function provides benefits, so, in most cases, the procurement of key commodity categories with sufficient spend is centralised. However category management, Total Cost of Ownership and standardisation are not widely used concepts. There’s a bit of a mix too when it comes to Supplier Relationship Management and supplier development. Some companies have made an effort to master lean thinking and create cross-organisational cross-functional teams to reduce losses in the value chain. However, there are many that still view supplier management as a method of aggressive negotiations, in order to achieve their own short-term aims. Some organisations have a level of automation in their procurement activities, although this tends to be a ‘patchwork’ of ERP and MRP systems. Where systems have been implemented, there have been positive results. The same can be said for e-Procurement and e-Auctions for the most part, although in some cases, the focus on minimum prices has caused major mistakes. In one example, an organisation managed to lower the price of an auction item by 42 per cent, but left themselves with 15-years worth of stock! Procurement is also complicated by the size of Russia and the extended time zones in the country. For example, if you have a regional office in Ust-Ilimsk (essentially in the centre of the country), it requires 2 flights and a 5-6 hour car journey to get there from Moscow. Equally, if you have an issue in a subsidiary in Khabarovsk (nearly the Eastern most city in the country) that requires an answer from a business unit in Voronezh (in the far West), at 9 a.m. you only have two hours for a solution, because there is a 7-hour time difference. How did you get started in procurement? In 1999, I was asked by my business to find a specialist to train the procurement department. There was a lack of such specialists in the market at the time, so I designed a small workshop myself. I have adored procurement since then – it’s the most interesting and best part of the business! I’m now involved in the implementation of lean thinking in procurement activities across all my research and consulting projects. What do you see in procurement’s future in your country and how can social media play a role? Procurement professionals are increasingly becoming change leaders in organisations and have the ability to dramatically increase the efficiency of the entire value chain. Social media isn’t used as much in procurement at the moment. But I hope that we can use it to get involved in conversations with procurement professionals from around the world and share information and experience about procurement best practice. Why did you join Procurious? I rarely use social media in my day-to-day procurement activities and to share procurement best practices and I saw Procurious as an opportunity to change that. What are you hoping to get out of the network? To get involved in conversations with other procurement professionals and share information and procurement best practice. How are you going to get your peers involved? By inviting them via my network, particularly those who shared their experiences in order to help me write this article! Who’s responsible for writing a specification or brief? 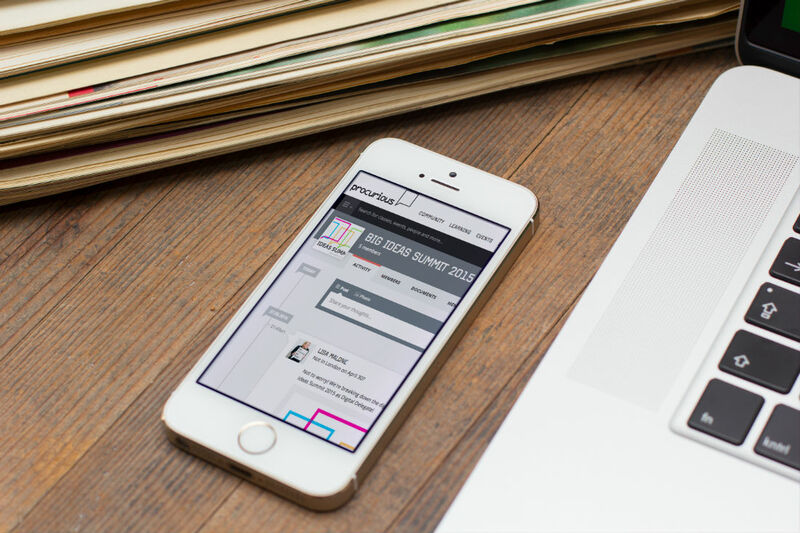 With over 300 questions and over 1000 answers, the Procurious Discussion forum is one of the most active on social media. But there is always room for more. If you have a question, please hop over to the forum and post it up! Procurement has been tagged as the responsible party for the generation of a specification or brief but I believe this to be incorrect. What has been your experience? This was an interesting question from Sarah Lees, providing some diverse answers from the community. 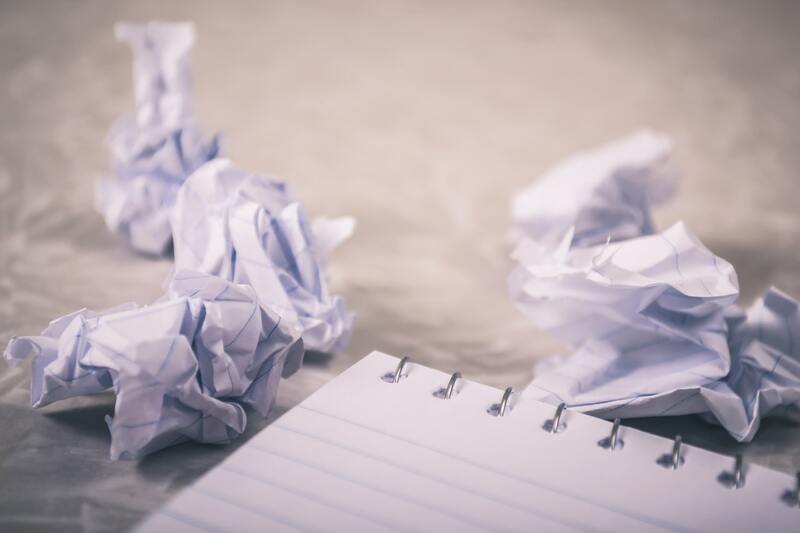 Responsibility for writing specifications or briefs can vary depending on industry, company or how it has been done in the past. Although there was no overall consensus on the responsibility, there was agreement that procurement needed to play a role in the process, whether that was facilitation, clarification or writing the document. A number of the responses highlighted the need for a cross-functional or multiple stakeholder led approach, where procurement facilitated a group including the end user, requester, departments such as engineering or sales, as well as potentially preferred suppliers. Involving the supplier can allow for clarification on requirements before quotation and supply, while also opening up opportunities for innovation or alternative solutions. Suppliers may play a role as a key stakeholder and, as such, it is worth considering them to be part of the group. Key to the discussion was the idea that ‘they got what they asked for’ was no longer an acceptable excuse. 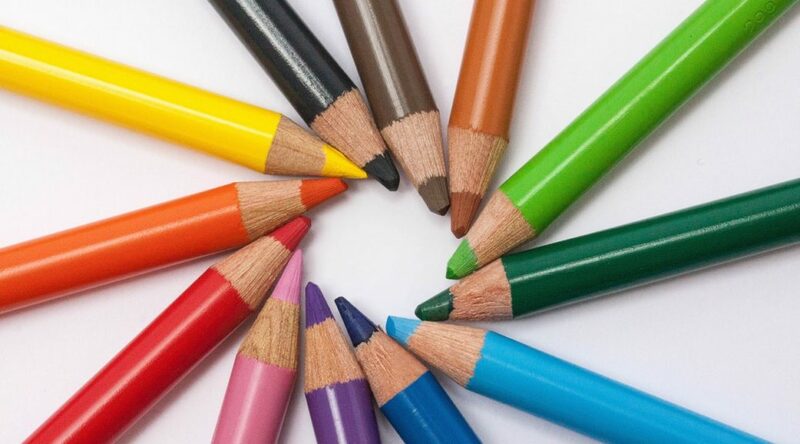 In order to ensure that the right product is sourced first time, procurement can question and evaluate requirements – does the product need to be bespoke, will an off the shelf version work, is this actually required – and ensure that suppliers are getting a specification that they can understand and respond to. If you’re still unsure, check out Procurious’ video on developing a Scope of Work. This shows the SOW and Specification as two distinct documents, gives an overview on formats of specifications (functional or descriptive) and highlights what role procurement plays. Newsflash – our profession is evolving. …And this pyramid holds all of the secrets. 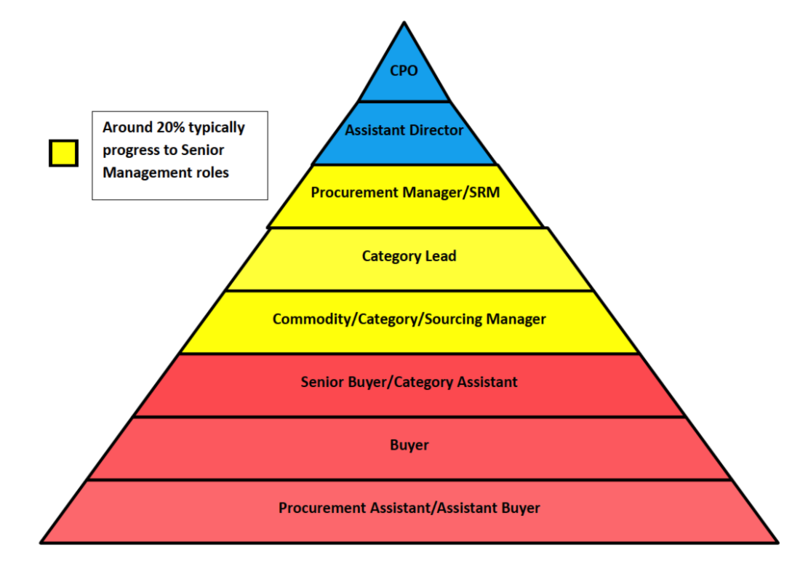 The pyramid seeks to put the evolution of the procurement profession into a relatable context. What does it tell us about our profession? The profession represents a fast track career for truly ambitious purchasing professionals and we are seeing evidence of CPOs securing this status quickly. 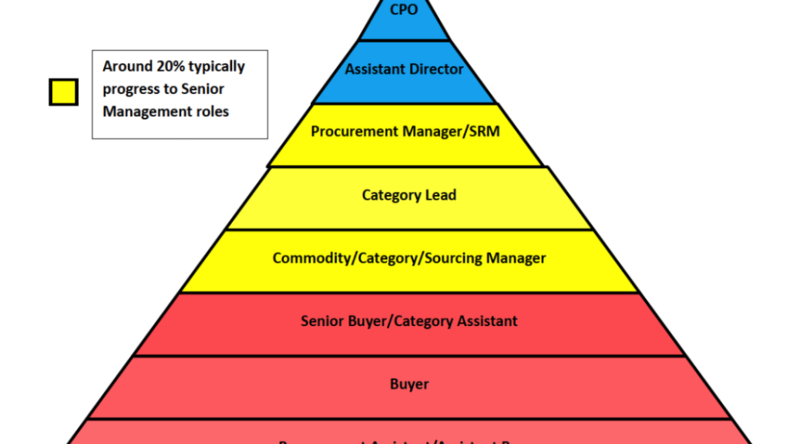 A procurement career has two strands in terms of career development. Management roles including SRM for ‘people people’ and process driven roles for the more analytical data driven individuals. Both of these elements are as important as each other in a 21st century procurement department. There has been analysis of interviews taken place in the last 6 months that show 71 per cent of the candidates failed to demonstrate the non-technical competencies required to perform the role they were applying for. This surely suggests a need for companies to further invest in training around key competencies such as negotiation, influence and communication – all business critical areas for purchasing professionals to make their mark. There is also a case to suggest that neuro-linguistic programming should also be a consideration. Another interesting observation is that the traditional title of the CPO is shifting towards CCO – Chief Commercial Officer. This reflects today’s acceptance in business of the commercial nous that a good CCO brings to the Board table. 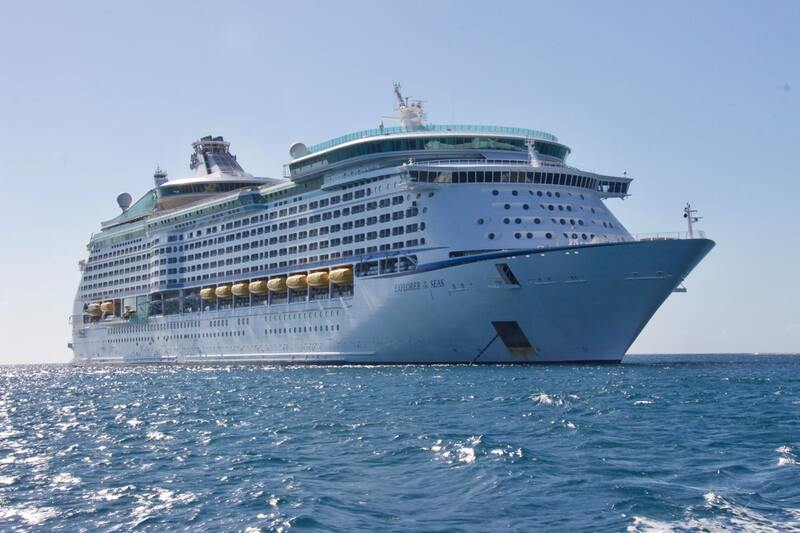 The world’s largest cruise company has announced that Julia M. Brown will become the company’s CPO. The role of CPO is a newly created one for Carnival and it’s hoped that Brown will be able to strengthen strategic partnerships with the company’s network of suppliers around the world. Brown will be tasked with improving efficiencies and driving strategic sourcing across the company’s nine brands, which are spread across the globe. It’s thought that combining the purchasing power of these brands will lead to significant costs and efficiency savings. Brown comes into the position with a solid background in procurement having previously held the role of CPO at Mondelez and Kraft, as well as strategic roles with Diageo, Gillette and Clorox. Shipping losses lowest for 10 years but mega-ships and cyber-attacks pose new threats for maritime sector. Shipping losses continued their long-term downward trend with 75 reported worldwide in 2014, making it the safest year in shipping for 10 years, according to Allianz Global Corporate & Specialty SE’s (AGCS) third annual Safety and Shipping Review 2015. The British Isles, North Sea, English Channel and Bay of Biscay has been the location of the most shipping casualties since 2005 (4,381). Nearly one in five of all incidents (18 per cent) have occurred in this region. It was also the scene of the second highest number of casualties during 2014 (465), up 29 per cent year-on-year. The East Mediterranean & Black Sea region was the top hotspot (490), up 5 per cent year-on-year. Total losses in the British Isles and surrounding waters doubled year-on-year during 2014. The most common cause of total losses is foundering (sinking/submerging), accounting for 65 per cent of losses in 2014 (49). With 13 ships wrecked or stranded, grounding was the second most common cause with fires/explosions (4) third, but significantly down year-on-year. According to the report, there were 2,773 shipping incidents (casualties) globally (including total losses) during 2014. December is the worst month for losses in the Northern Hemisphere and August in the Southern Hemisphere. For every total loss in the Southern Hemisphere there are 7 in the Northern Hemisphere. 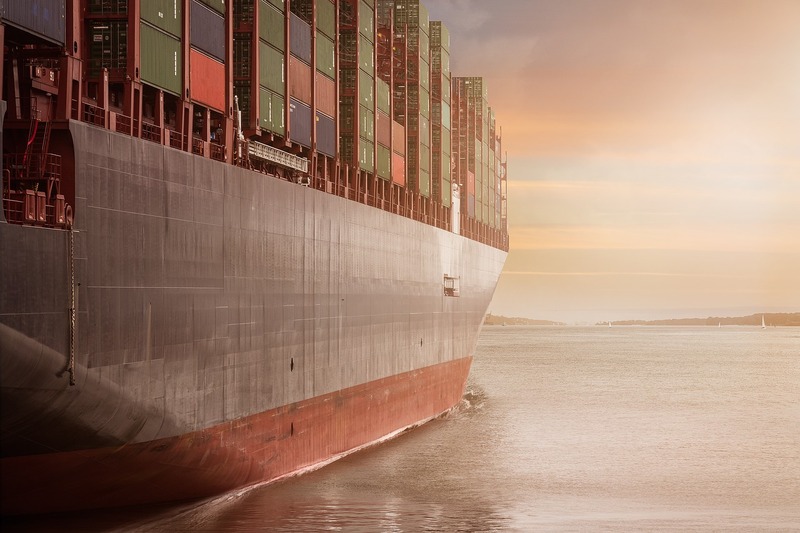 Cyber risks are another new threat for a shipping sector which is highly interconnected and increasingly reliant on automation. “Cyber risk may be in its infancy in the sector today, but ships and ports could become enticing targets for hackers in future. Companies must simulate potential scenarios and identify appropriate mitigation strategies,” said Khanna. “A cyber-attack targeting technology on board, in particular electronic navigation systems, could possibly lead to a total loss or even involve several vessels from one company,” said Gerhard. Other scenarios include cyber criminals targeting a major port, closing terminals, or interfering with containers or confidential data. Such attacks could also result in significant business interruption costs, notwithstanding liability or reputational losses. 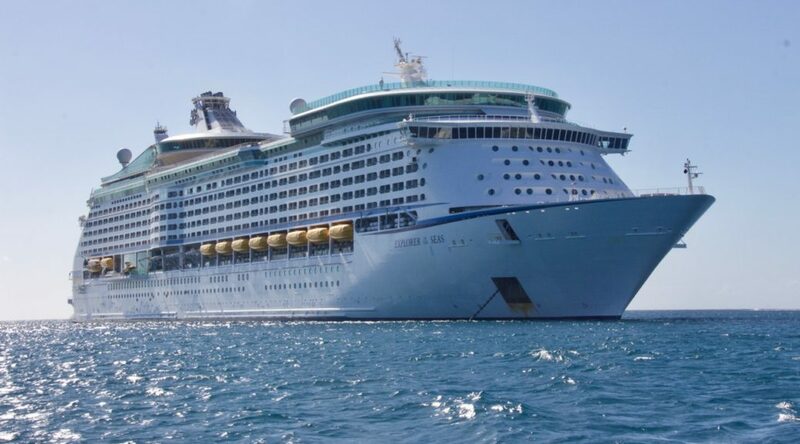 While the long-term downward trend in shipping losses is encouraging, recent casualties such as Sewol and Norman Atlantic have once again raised significant concerns over training and emergency preparedness on passenger ships three years after the Costa Concordia disaster. Seven passenger ships were lost during 2014, accounting for almost 10 per cent of total losses. “In many cases construction of the vessel is not the only weak point. These two incidents underline a worrying gap in crew training when it comes to emergency operations on ro-ro ferries or passenger ships,” says Sven Gerhard, Global Product Leader Hull & Marine Liabilities, AGCS. The general shipping trend for smaller crews means seafarers are being asked to do more with less. Minimum manning levels reduce the ability to train people onboard, which can provide invaluable insight and should not become the normal day-to-day level for safe operations. The recent rise in geo-political tension around the world is concerning. The increase in human trafficking of refugees by sea creates search and rescue issues. More than 207,000 migrants crossed the Mediterranean in 2014, driven by the civil war in Syria. The International Maritime Organization estimates at least 600 merchant ships were diverted in 2014 to rescue people, stretching resources and rescue infrastructure. Conflicts in the Middle East also put increasing pressure on the supply chain. Ships should not underestimate the security risks. Although there has been good progress tackling activity in Somalia and the Gulf of Guinea, ensuring global attacks (245) are down for a fourth year in a row, piracy thrives elsewhere. Attacks in South East Asian waters are up year-on-year, as are incidents in the Indian subcontinent, with Bangladesh a new hotspot. There I was, having a discussion on LinkedIn about engaging with clients before sourcing commodities when on comes Wannabe by the Spice Girls. Other than reminding of me of another time, place and alcopops, strangely, it made me think about specifications. 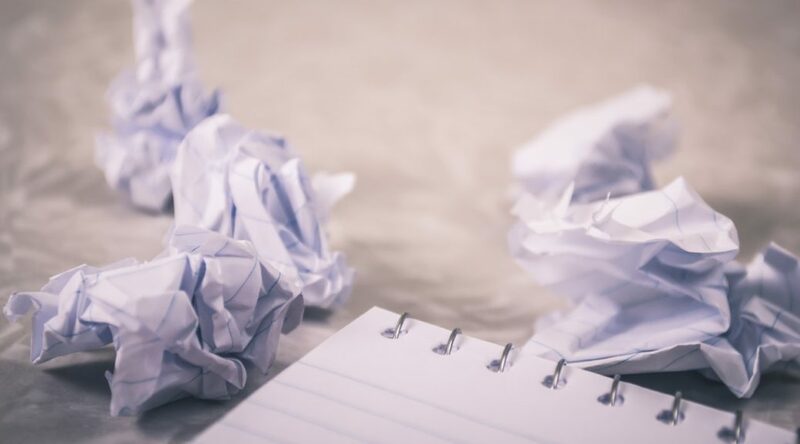 When you’re in that exciting part of setting up a new contract, it’s really easy to fall back on the last specification and just reproduce it; particularly if you’re short on time. I mean, if no one has complained about it, then it must be ok. But I think we are missing a huge opportunity to review, challenge and improve on the contract and, ultimately, the final result. In the public sector we’re assessed more and more against how and when we engage with our client departments, the people who actually use the things we buy. We’re expected to establish User Intelligence Groups to come up with specifications and then to challenge these UIGs on what they come up with. We’re even expected to challenge them as to whether they actually need it in the first place! Then when clients have decided on what they want it’s our job to steer them in the direction of an output (you might call it a performance) specification. Thinking about what they actually want rather than what they’ve already had can be a challenge. It’s so much easier for clients to specify the product they’ve always used, the way that things have always been done, rather than allow suppliers to come up with something new. Of course improving specifications is much easier when you’re working in one organisation but opportunities to collaborate are being pursued not only in the public but also the private sector now. Where do you start when faced, as we are in Scottish local government, with 32 different requirements? In his seminal piece Towards Tesco, Colin Cram gives the example of 100 different specifications for tarmac in Greater Manchester when seven would do. Is this a set of varied needs or be-spoking gone crazy? 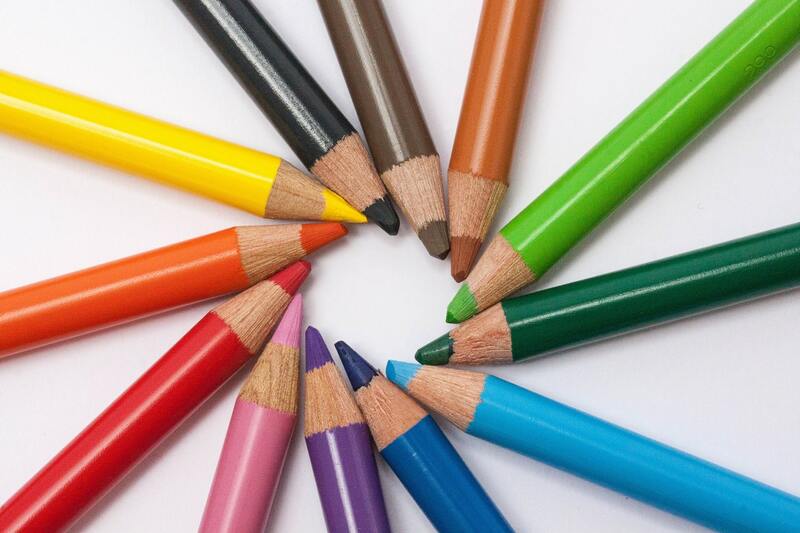 How can we balance diversity against the reduced cost and benefits of standardisation? So what’s happening in practice? In China the standardisation of viaducts used to carry railway tracks has saved millions on construction costs. Closer to home Scotland Excel has succeeded in devising a core specification for residential care for children which enabled the first ever framework agreement for these services to be put in place in Scotland. In my own organisation we’ve been working hard to standardise requirements and use output specifications wherever we can. We’re just about to finalise the contract for a new school which will see the building of the 4th A shaped footprint – enclosed courtways, essential for our windy climate. We’ve used an output specification for the first time for grounds maintenance in the expectation that this will allow more responsive and innovative suppliers to shine. And finally we’re just embarking on a project to redesign transport services in Uist and Barra which will not only use an output specification rather than timetabled services, but also a participatory budgeting approach to allow true community engagement to devise specifications and prioritise services prior to tendering later in 2015. The Spice Girls know what they want, what they really, really want (I think it was Zig-a-zig–ah) and your clients do too. Ultimately, it’s your responsibility to discover from your clients what they really, really want and help them achieve this through a great specification. Why aren’t more procurement teams using capability assessments? Procurement is the fastest-growing sector in the Asia-Pacific with a rapidly-emerging talent gap problem. Procurement leaders are well-aware of the existing “war for talent”, particularly in a profession that still suffers from a lack of targeted higher-education courses. The role of on-the-job training is therefore vital, yet budgets are limited, with an average of $3000 to $3500 allocated per person per annum for skill development. This is where capability assessments play such an important role – they help identify the skills the team possesses as well as those that are lacking to ensure gap-measures are targeted and effective. In other words, capability assessments help you make every dollar count when closing skill gaps. This article is a call to action for procurement leaders to conduct a capability assessment and create a subsequent business-case for investment in team development, paving the way for improved staff retention, lower hiring costs, uplift in team performance and resultant value delivery. In 2011 the Australian Chamber of Commerce and Industry (ACCI) conducted a survey entitled Employers’ Commitment to Training, concluding that only 80 per cent of employees possessed the skills required to perform their jobs. More concerning was the statement that this figure was predicted to drop to 75 per cent by 2015. The procurement sector is no exception, with the Deloitte Global CPO Survey 2014 finding that 81 per cent of CPOs in the Asia-Pacific region feel that their teams lack the skills needed to deliver their procurement strategy. Workforce capability was nominated as one of the highest business priorities for 2014 by The Faculty Roundtable, consisting of an elite group of procurement decision-makers representing 30 blue-chip organisations in the Asia-Pacific region. People are a business’ great competitive advantage. Success is dependent on the ability to attract, retain and manage individuals with the right mix of skills and capabilities. Investing in people development will equip a business with the right blend of technical, commercial and leadership skills to accelerate performance and provide a clear career roadmap to engage and retain top performers. Employees provide value to organisations and, as more and more organisations recognise this, there is an increasing focus on developing the capabilities of their best talent. …Yet only half of our surveyed organisations are using capability assessments. The Faculty’s survey of 70 ASX-listed organisations revealed that only 54 per cent of respondents currently undertake some form of capability assessment in their organisations, highlighting an incongruence between the perceived need for capability assessments and the number of organisations acting upon this need. So, what’s holding organisations back? It’s easier to fill skill-gaps through external hiring than to identify and address the capability gaps in my existing team. 47 per cent of our respondents stated they have more external hires than internal promotions, while 16 per cent had more internal promotions than external hires, and 37 per cent stated they had a balance between the two. This issue is inextricably linked to the shift from long-term to short-term retention of staff and the resultant hesitation to invest in people who are likely to leave your organisation. Capability assessments, training plans and clearly-articulated career paths, however, are some of the most effective tools that managers can use to reverse this trend and improve staff retention. This is not to say that capability assessments can’t also be used as part of your external hiring process. 43 per cent of our surveyed organisations do not currently do so, passing up an opportunity to pinpoint the required skills by linking the position description to a web-based capability assessment. The online assessment could focus on core procurement skills and complement (rather than supercede) traditional face-to-face interviews to determine subjective factors such as cultural fit. My team is nervous about being assessed. Any form of assessment can make staff uncomfortable and risks being interpreted as a performance-management exercise. Careful positioning and communication is therefore vital to let staff know exactly what’s in it for them, as discussed in last week’s article. I don’t have the resources to roll out a capability assessment. The initial set-up of a capability assessment will require an investment of both time and money, depending on whether you elect to use an off-the-shelf assessment or require a more tailored approach to meet your specific needs (as was the case with 61 per cent of our respondents). The potential benefits and longer-term savings, however, are enormous – targeted gap-closure, lower hiring costs and improved staff retention to name a few, followed by an established benchmarking and measurement process that you can undertake as regularly as necessary. The last capability assessment we rolled out was ineffective. It’s all about the follow-up. Undertaking a capability assessment may provide you with some interesting results, but what you do with them is more important. Before beginning the assessment, create a gap-closure plan that incorporates a blended approach of formal training, on-the-job coaching and mentoring. A surprisingly high 70 per cent of our survey respondents reported that they were unable to measure the impact of capability assessments in the past, making it very difficult to judge its effectiveness. The solution is to measure your team’s competencies immediately before and after your gap-closure rollout to ensure you capture the gains you’ve made and further opportunities to be addressed. If you’re in the Asia-Pacific region, give us a call – The Faculty offers a range of procurement capability uplift training programs, consulting services and a procurement-specific capability assessment that can be tailored to your needs. Rolling out a capability assessment will help you anticipate the development needs of your team for the coming decade and ultimately assist in the creation of a business-case to invest in your most important asset, your people. Australian Chamber of Commerce and Industry (ACCI). Employers’ Commitment to Training: Key findings from the ACCI National Workplace Skills Survey 2010 (2011).